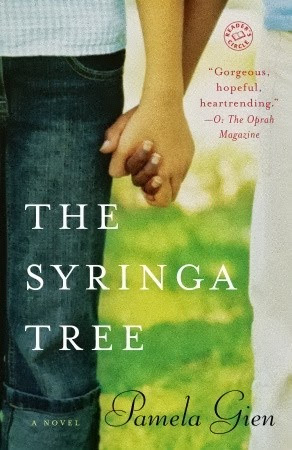 a book chick: "The Syringa Tree"
my take: I read this whilst on vacation in South Africa on the recommendation of a friend. It was great to know the geography and topography better as I traveled and read. Although, where we were in SA there weren't any syringa trees, so I didn't actually lay eyes on one. I liked the voice of the narrator, Elizabeth, a young girl during the 1960's. It's a little bit like The Help in regard to Elizabeth's relationship with her black nanny, Salamina. But Elizabeth herself is a bit of an outcast with Jewish/English heritage. Some of the scenes of Elizabeth going to school are heartbreaking. This is the second novel I read for the trip and both were written by whites, so it would be interesting to find a voice from the black perspective. This novel's first incarnation is a play by the author (wherein she plays all the parts, I believe) and then made into book form over a couple of years. She's now writing the screen play, and I'll definitely see the movie.